Seddon Street intersects on the right. The Mobilgas station — where a Vauxhall Victor of about that time is parked — is now Lawrie Motors. 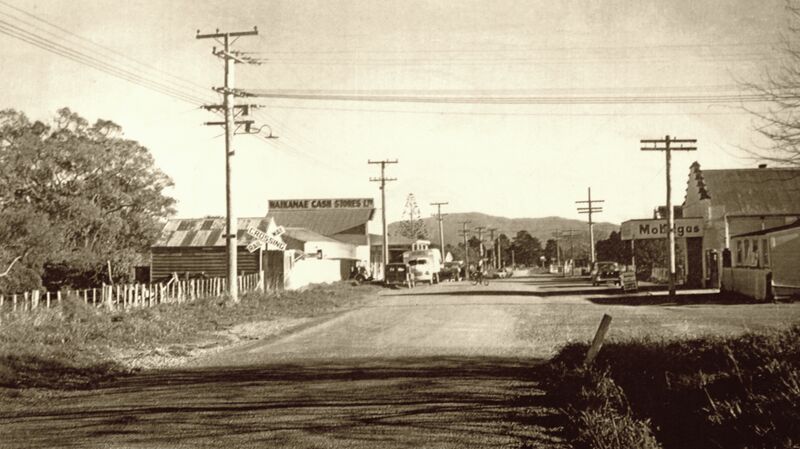 A Bedford supply truck is parked across the road at the Waikanae Cash Stores (still there, but without the sign on the roof and with a different name). As well as the truck, there look to be a couple of Morris Vans there, one may belong to the store as grocers often did home deliveries in those days.